A knocked-out tooth or a toothache are dental emergencies that require immediate medical attention. Dental problems don’t always happen during regularly scheduled office hours. 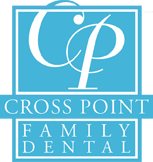 Fortunately, Crosspoint Family Dental offers premier emergency dentist services in the Billerica, MA area. If you experience a dental emergency that may be listed above, it is important to call an emergency dentist at Crosspoint Family Dental. Often, just a few hours can make a difference between saving and losing your tooth. Crosspoint Family Dental understands that accidents happen and often can?t be prevented. However, several types of emergencies can be avoided. Maintaining good oral hygiene is one of the most important things you can do for your teeth and gums. This includes daily brushing and flossing, eating a balanced diet and if you or your child is playing sports, wearing an athletic mouthguard. If you have a dental emergency and need to see an emergency dentist in the Billerica, MA area, contact Crosspoint Family Dental at (978) 459-6467.